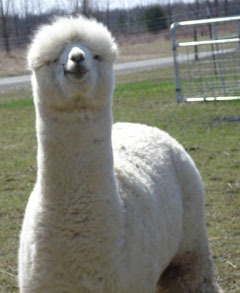 Cleo's Alpaca Males are ready to start your breeding program with good conformation and good quality fleece. Contact for breeding details. 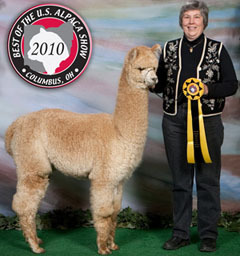 Hobby Horse Peruvian Rumor Has It MF is Medium Fawn and stands with good conformation. He is out of RichGirl (R827981)MB by Hobby Horse Ringside Rumor (R1384727) MF. AMAF Horizon is white and now available for breeding. He is out of MFI Peruvian Cressida (R838276) WH by A.L. 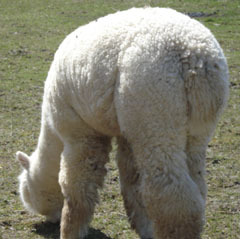 Paca's Khanquistador (30916166) BG. 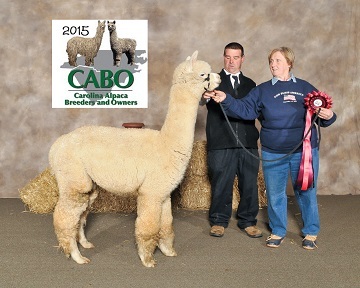 Cleo's newest male, 7SAF Ace's High went to the CABO show in Concord, NC and came home with a ribbon. He has been shown at many shows in 2014 and will be entering the breeding operation this spring. We are anxious to see his offspring.